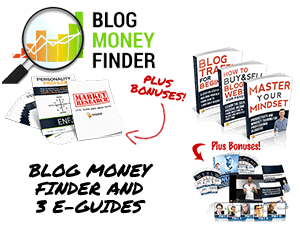 All 5 Core Blog Money Finder Modules to learn how to research and identify your ‘sweet spot' topic to build your business around. The Blog Profit Test training program, a step-by-step real life test you can conduct to validate if there is money to be made in a market. Plus 7 Additional Bonuses on hiring virtual workers to help you grow your business, training your mind for success, case study interviews, a live ‘Website Flipping' conference presentation from Yaro and much more.